State of the art alarm systems available, including remote control mobile app. 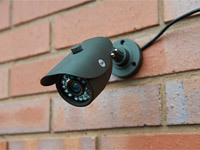 Integrated analogue or digital CCTV systems for your home or buisness. Roller shutters or retractable grilles to provide a robust security deterrent. Locks, intercom and video systems for all types of properties and doors. 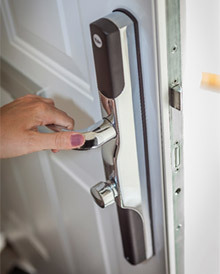 Professional locksmith services for both homeowners and businesses. We are happy to visit you and carry out a free survey at a time to suit you. 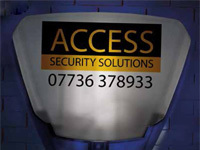 Welcome to Access Security Solutions Ltd, where high quality security systems and customer satisfaction comes as standard. If you are looking for a company with years of experience in the trade, then look no further. Whether as an individual, homeowner, or someone running a business, security is a concern for us all. 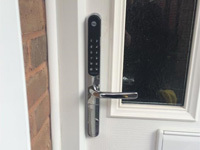 Our aim is help you deal with those concerns, whether that is a lock change or an alarm installation, fitting internal or external security shutters or retractable grilles, we can provide a complete solution at a cost effective price. We deliver this with your lifestyle or business processes in mind so on an initial visit to your premises we carry out a free survey to ensure we tailor our security solution to your exact circumstances. We cover from Southampton across the whole of the south including, London, Middlesex, Surrey, Kent, Hampshire and Dorset areas. 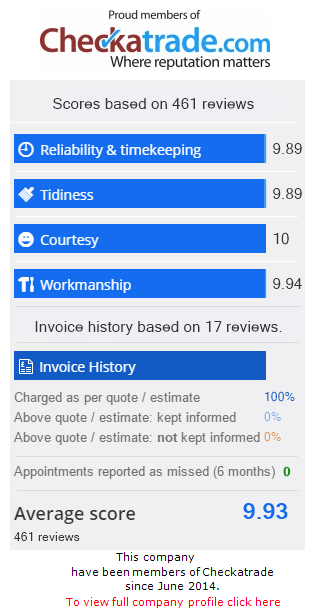 Our reputation speaks for itself and we are proud members of Checkatrade where you can see recommendations from just a few of our many customers. Our security ethos is all about prevention. We aim to make your premises a less inviting target deterring any potential criminal from interfering with your peace and enjoyment at home or interrupting your business, but with robust installations to prevent a determined intruder. Through our association with Yale we are also pleased to provide our security services to both O2 and B&Q. You can view more of our customer feedback on the Checkatrade.com website. 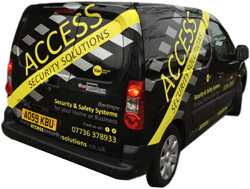 Access Security Solutions Ltd is a local company with national backing based in Southampton covering not only the local areas around Southampton, New Forest, Lymington, Bournemouth and Salisbury areas but also across the south including London, Middlesex, Surrey, Kent, Hampshire and Dorset. We have been working across the UK for many years and can take on any job from installing or servicing a burglar alarm to fitting security grilles. 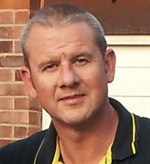 To help advise on appropriate security solutions for you I am able to draw on a wealth of experience within the security business, including 24 years’ service in the Armed Forces delivering security in a number of conflicts throughout the world. Security is a very personal matter, physical or electronic protection also needs to provide you with peace of mind knowing you, your home, your family or business are protected. As each security threat is unique to your property and individual circumstances, I welcome the opportunity of visiting you to discuss your concerns, carry out a free survey, and offer you the most appropriate and cost effective solution for your home or business. Access Security Solutions Ltd are members of the Federation of Master Locksmiths, Federation of Small Businesses (FSB), City & Guilds Qualified and Security Industry Authority licensed. We are also proud to be members of Check a trade, Which Trusted Trader scheme and a Yale Smart Security Partner.